CUADERNO COSIDO COLLEGE NORMA 360°COLOR 581287 100 HOJASCUADRO 7 MM. CUADERNO PROFESIONAL NORMA STREET RACER 534100 100 HOJAS CUADRO 5 MM. CUADERNO PROFESIONAL SCRIBE FULANITOS 7993 100 HOJAS CUADRO 7 MM. 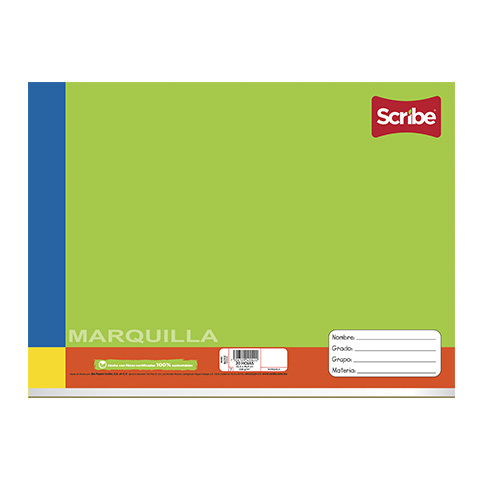 CUADERNO PROFESIONAL SCRIBE ESCOLAR PLUS 7972 100 HOJAS CUADRO 5 MM.